Primers are used to fight unwanted shine and excess oil, reduce pore size and the appearance of wrinkles, and ensure a matte finish to your look. Primers also help keep the skin hydrated which is important because if you put on your foundation with really dry skin it will show up flaky or it will give your face the appears of having tiny cracks in it. I bought this particular product because I was not that satisfied with the current primer I’m using (Nars) and I just wanted to try something new. 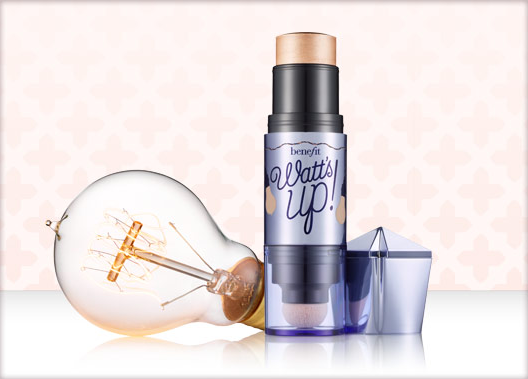 I tested it at Sephora (as in I put it all over my face and then put on my foundation) and I really liked the appearance afterward. My face DIDN’T get oily, which it usually does after a few hours, but this could be the combination of this primer and the foundation I used (see the foundation below). I bought the peach primer, but the different colors represent different skin tones. Most heavy make-up wearers use foundation regularly and if you don’t have to you to are very lucky. I use it to even out my skin tone, hide redness, minimize pores, and hide and blemishes, acne, or scarring that I have. In the past, I was really in love with Bobbi Brown and Nars Matte Foundations which work well on my combination (dry and oily) skin. However, I just feel that these two brands make really heavy foundation and I wanted to move to something a little lighter, which is why I went for the HD Invisible Foundation from Make Up Forever. I switched because I used to have more severe scarring in the past from acne when I was younger and I felt I NEEDED this heavy layer to hide it, but with time the scarring has lessened and I want to go for a lighter, more natural look. I did a lot of research an I’ve heard and read really good things about the Make Up Forever HD Invisible Foundation, and today I tried it at Sephora (in combination with the primer above) and I LOVE IT. It is so light and it honestly looks like I’m not wearing any makeup on my face. After wearing it for several hours, my skin is not oily (which happens with the heavier foundations) and the makeup is still there, giving me flawless coverage and an extremely natural finish. 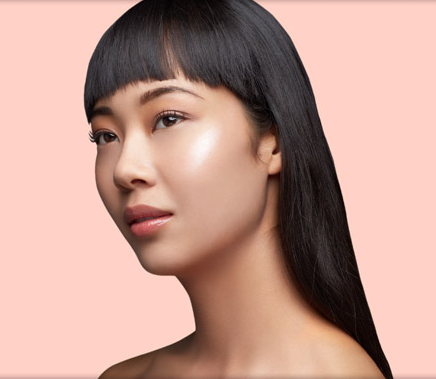 Make Up Forever offers a variety of foundations, and they are tailored towards different skin types so I would suggest going to a Sephora and experimenting to see what look you want and what works best with your skin. The exact tint I bought N140 (below). I personally love contouring and highlighting, and I love a nice bronzed look for summer, so today I went to Sephora in search of a nice summery highlighter. I read a lot of product reviews first and people really liked this product. It was one of many that I tested and I actually liked this one the best. It gives a pretty heavy “shine” but if you’re like me, that’s what you want. See the model in the photo below for the after effects. I’m no stranger to Bare Minerals products, so the following two are just products I bought today because I was refilling my stock which is almost out. 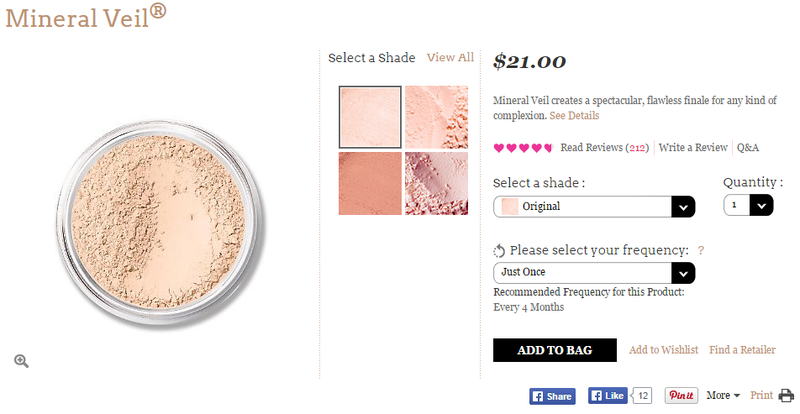 Below is the Mineral Veil loose powder, an award winning product, that I use for translucent coverage after I’ve put on my foundation, just to set the makeup and make sure it stays on all day. I buy the lightest shade because I don’t like colored powders unless they are for bronzing or highlighting. Below is the exact product I bought. 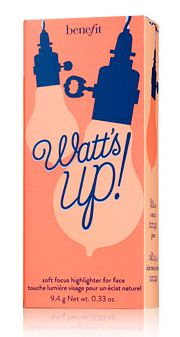 This loose power is for bronzing. It has a lot of really good reviews from most beauty bloggers and makeup artists, and I also highly recommend it. It doesn’t look like it in the photo below but it leaves a perfect, subtle shimmer when you put it on (I recommend the apples of your cheeks, forehead, neck). I didn’t used to use makeup brush cleaner or clean my brushes (or at least not that often) but then I learned how much bacteria builds up in them over time, and each time you do your makeup you’re spreading that all over your face. 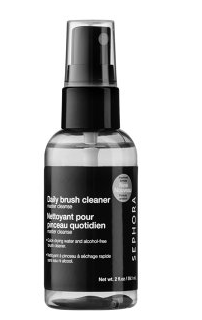 So–now I buy makeup brush cleaner, which is better for the brushes than if you use soap and water. 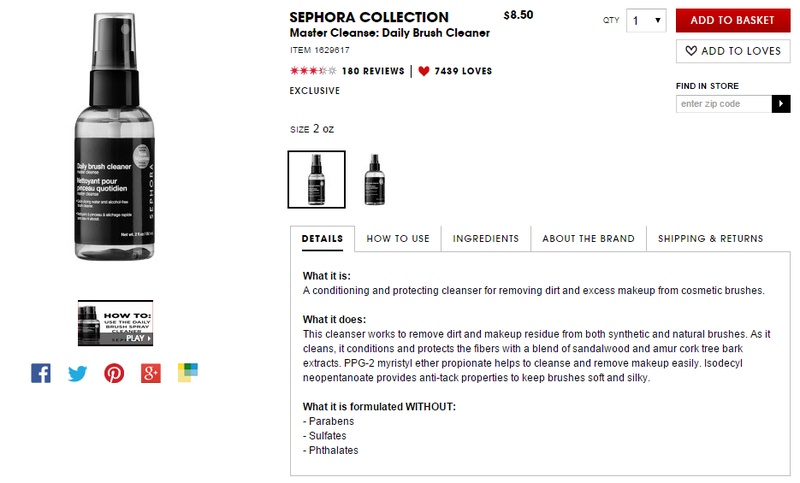 It is honestly not that expensive, if you’re concerned about price, and Sephora does a good cheaper version that works the same as more expensive products and lasts a long time. Technically you should clean your brushes in between each use, as this is the best way to ensure they are bacteria-free. Next Post My Bucket List–100 things to do before I die!